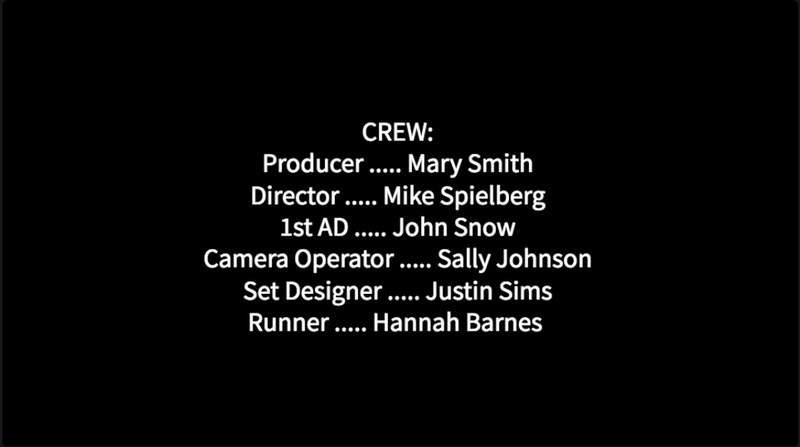 How do I add end credits to a video? 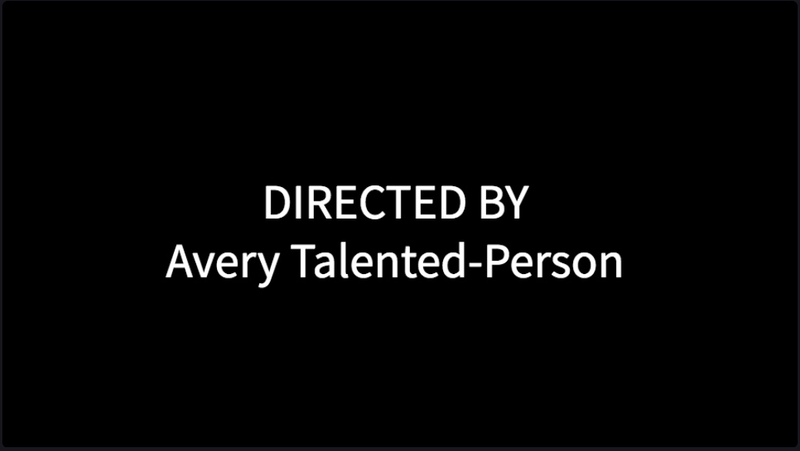 Is it possible to add rolling credits, opening credits or closing credits to a Create project? 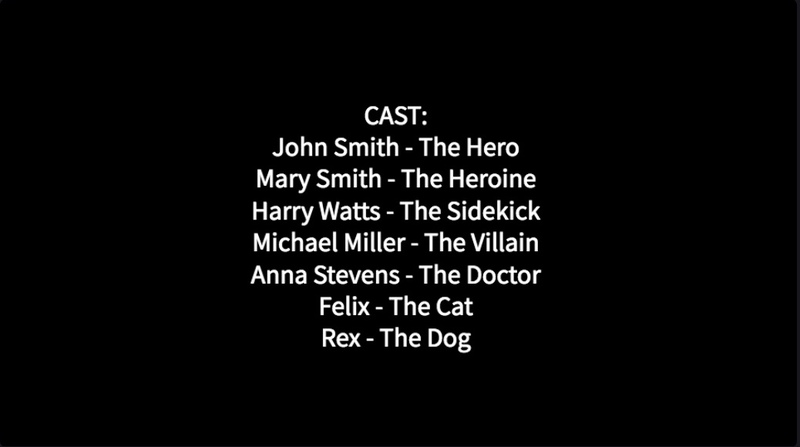 In the current version of Create it is not possible to add rolling end credits to a video. We plan to add this feature in future releases. However, it is possible to add a static credit with a list of names, or a series of static credits with names. See below for tips on how to do this. Click on the title in the timeline so it is selected (it will be highlighted). A title editing menu will appear in the top left. 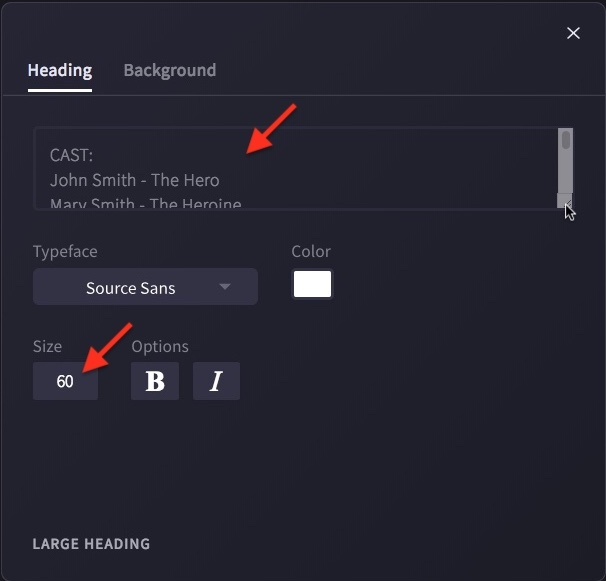 Use the title editing menu that appears on the left to reduce the font size to a smaller number, e.g. 60. 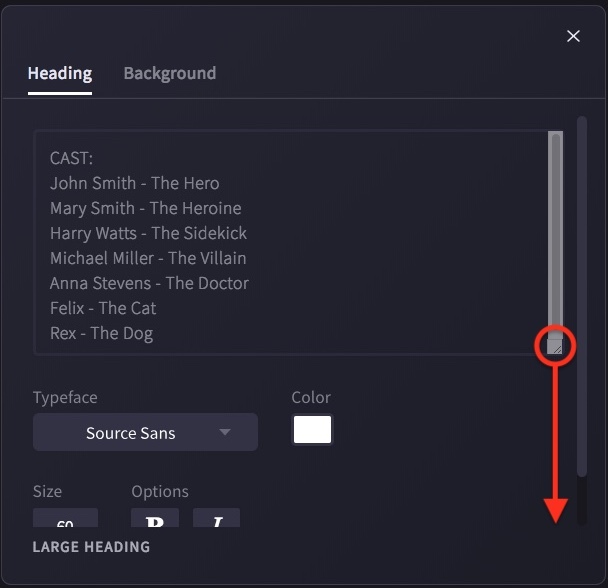 Then add several lines of text into the text field. Use the return key on your keyboard when you want to add a new line. You can also add dots and dashes, like in our examples below. You can also edit the font, colour and style of your text. 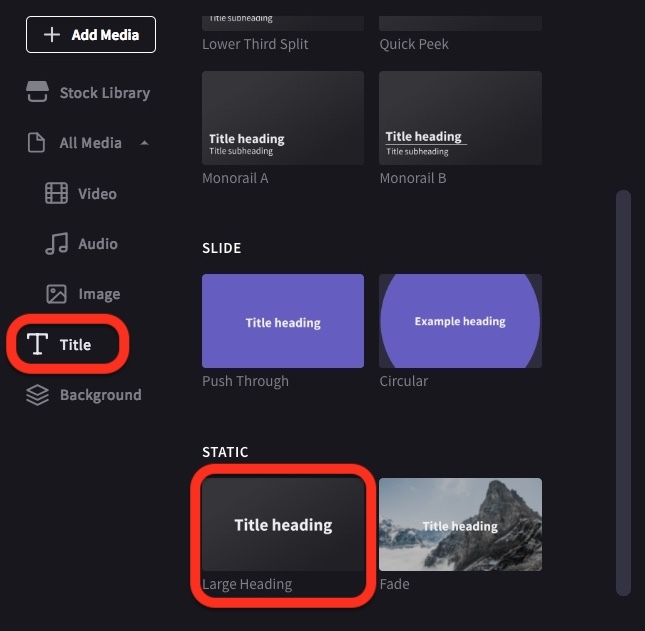 Once you are finished editing your title, close the title editing menu by clicking the X in the top left of the window. 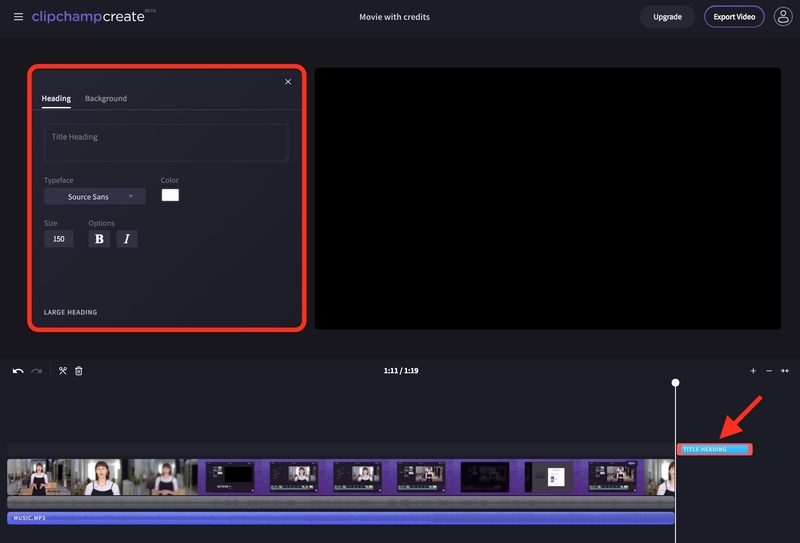 To make your credits appear over a video, add a video to your media library, then drag the video to your timeline so it is positioned below the title. 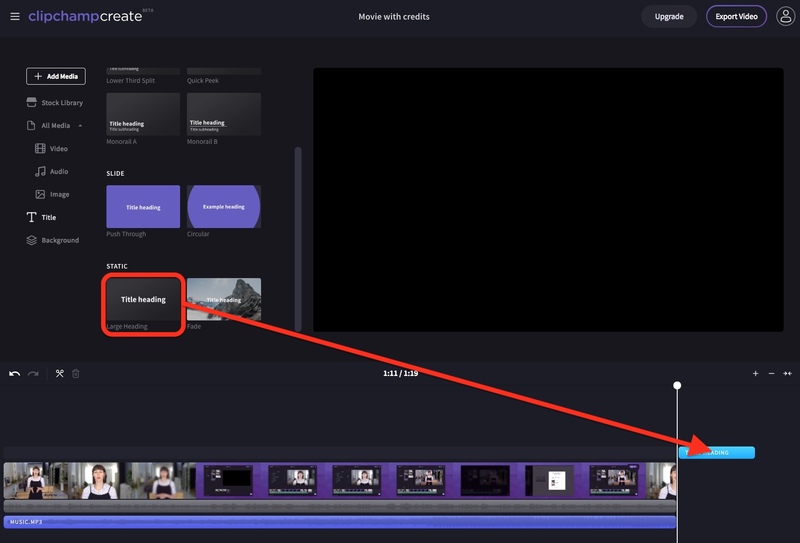 To make your credits appear over a black background, you can either position them over a blank space in the timeline, or go to the Background menu on the left and drag the Black background to the timeline below your title (see: Adding black or a solid colour). You can also use this to add a coloured background.